In honor of the new Captain America movie : ) I made this bag inspired by his iconic shield. Just a quickie this week. Every once in a blue moon I get to make something for myself to keep. I've had so much fun working on this Batgirl costume, I thought it would make a great hoodie. 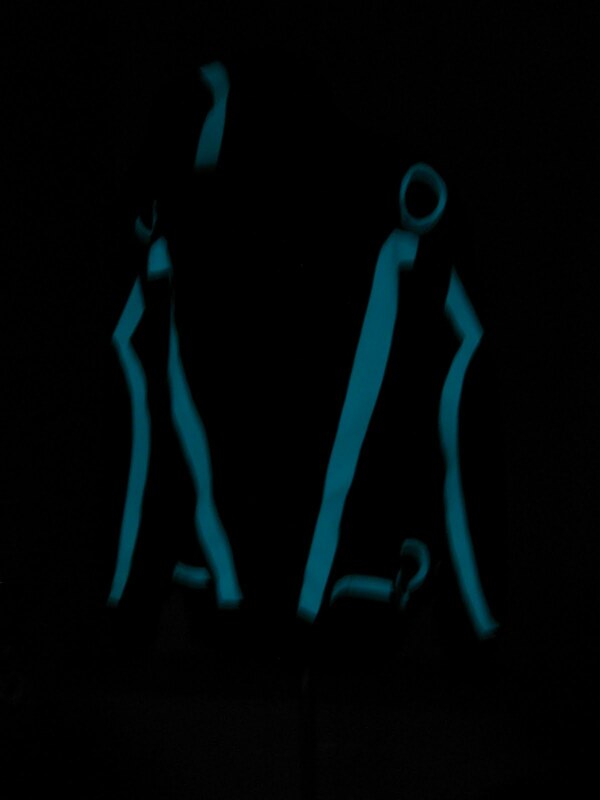 It was also a fun way to experiment with the glow in the dark fabric. It's simple, purple ribbed side panels and glow in the dark symbol and bat ears. Those it's been largely too hot to wear it! To all those who will be attending SDCC next week have a blast and I wanna see pictures! 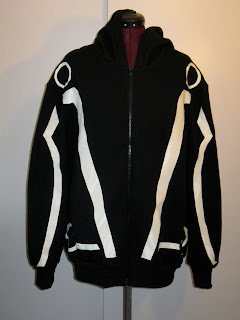 The quest for the perfect Tron inspired garment continues......as you probably know, I've been doing some work with EL wire which is great, but has it's limitations. EL wire isn't very durable, and can render a garment unwashable if permanently affixed. The answer: blue glow in the dark fabric! Glows amazingly bright when "charged" in full sunlight, and is totally washable. I haven't used these fabrics for long, so I'll update how they hold up over time.